Expedia has some amazing Dublin holiday packages. Bundling your bookings is one of the easiest ways to save time and money — and get your trip off to a flying start. Our comprehensive international database allows you to look through more than 321,000 properties worldwide and 400 partner airlines. With such a great range of options, crafting your dream holiday will be easy! Sometimes we get so involved in the fast pace of life that we forget to slow down and smell the roses. Spend an hour or so drinking in the fresh perfumes at Garden of Remembrance. There's a fabulous range of things to do in this destination. Theatre challenges our way of thinking and asks us to aspire to be more. Get tickets to a production at Bord Gáis Energy Theatre and open your mind to some new ideas. Still got some time to spare? Mingle with like-minded peers and get prepared to be inspired at one of the conferences or events hosted at The Convention Centre Dublin. 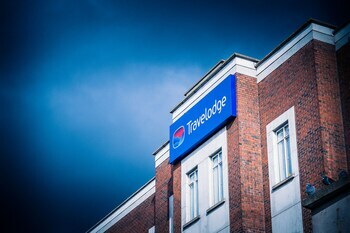 Travelling isn't just about famous destinations and swish hotels. It's about the experiences you have and the wonderful memories you collect along the way! Have a little time on your side? Head to our Dublin things to do page for a complete list of activities. 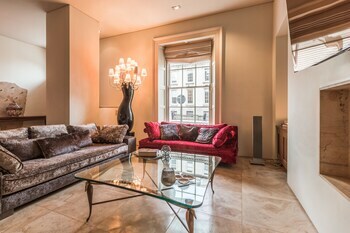 Travelling to Dublin for your next luxury getaway or cheap holiday? 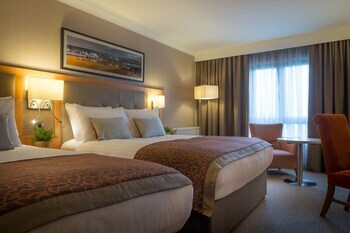 With around 302 places to select from in the nation's capital, getting a room won't be a problem. The Guinness Storehouse is situated at St. James’s Gate Brewery in Dublin. The giant storehouse covers seven floors and is a popular point of interest for tourists - since it opened in 2000, it has received over four million visitors. Trinity College offers a welcome haven from the hustle and bustle of Dublin and it is one ivory tower you’d be happy to be trapped in for a long time. Dublin is home to two drink brands that have spread their marque, and made their mark, all over the world. And both are keen to share their heritage, induct you into the mysteries of their production and ply you with their wares on guided tours. There’s the Guinness Storehouse where the black stuff is promoted and there’s Smithfield’s Old Jameson Distillery where the rather more potent stuff is celebrated. The Millenium Bridge, built to commemorate the start of a new millennium, crosses the River Liffey in Dublin, joining Eustace Street in Temple Bar to the north quays in the city centre. It has become an iconic symbol of Dublin, inspired by its timeless neighbours and designed with a modern twist, and is a point of interest for visitors to Ireland’s capital. Ordinarily, it might be thought a little unusual to recommend to any visitor to the Republic of Ireland a sightseeing tour of a branch of the Bank of Ireland. However, this is Dublin, where the rest of the world’s rules clearly do not apply. On Dame Street, south of the River Liffey in the heart of Dublin, stands the mighty architectural achievement that is Dublin Castle, parts of which date back to 1200. Over the centuries Dublin Castle has been a fortress and treasury, a royal palace and a prison. Prior to Irish independence in the 1920s, it was also the centre of British rule in Ireland. Today, Dublin Castle is a government building and significant historic emblem. Once you’ve attended a concert at Dublin’s superb O2, there’s no going back to theatre-style venues where the seating is arranged in regular rows. The audience and artist friendly design of the O2 amphitheatre is often likened to that of Rome’s Coliseum, with blocks of seats emanating out like a great fan from the impressive stage. If you’re heading to Dublin for a rugby or football match at the Aviva Stadium, then you’re in for a real treat. Situated just south of Dublin’s bustling city centre, the Aviva Stadium is a state-of-the-art, four-tiered sports stadium and concert venue, located on the rushing River Dodder not far from Ireland’s east coast. Ireland is renowned around the world for its incredible golf courses, and they don’t come much better than the Grange Golf Club. 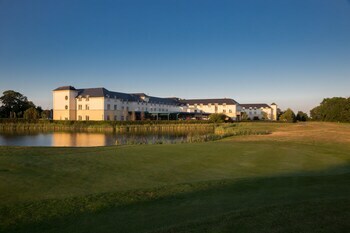 This amazing course is located just 15 minutes from the centre of Dublin. Lying in the foothills of the Dublin Mountains, there are incredible views and a tranquillity that’s hard to imagine so close to a major urban area. The Liffey Valley Shopping Centre is one of Ireland’s largest shopping and leisure destinations, offering a fantastic range of retail and entertainment options all under one roof, just minutes from the centre of Dublin. Head to the centre of Dublin for a hint of the town’s historic past at the picturesque Clontarf Castle. Built in the 1830s, this stoic Georgian country house stands on the site of a much older building. In fact, the history of the area dates all the way back to the 11th Century, when the original medieval Clontarf Castle stood here. Winner of no less than three major awards for its achievements in live music, Vicar Street in Dublin is the epitome of cool. Opened in 1998, Vicar Street has moved from strength to strength over the years, while retaining the relaxed atmosphere that made it such a success in the first place. This cutting edge music and arts venue lies on Thomas Street at the heart of Dublin. There is one thing that truly keeps the crowds coming to Trinity College in Dublin, which is a shame because the college has a lot to offer. Yet, it’s understandable: the Book of Kells is awe-inspiring and testament to the dedication, craftsmanship and sheer genius of collective creativity at its best. St. Luke’s Hospital, Rathgar, Dublin, has been specialising in treating cancer patients for over half a century. Opened back in 1952, the hospital was created by the Cancer Association of Ireland and has become the primary national centre for radiotherapy. Originally founded in 1854 as part of the Catholic University of Ireland, then reformed in 1880 and declared a university in its own right in 1908, University College Dublin is one of the Republic of Ireland’s oldest and most prestigious education institutions. Situated on the north side of Dublin, Dublin City University is close to Dublin Bay and the River Liffey and is home to some of Ireland’s largest performance spaces. It is a justifiably popular point of interest for visitors travelling to Ireland’s bustling capital. The Spire, also known as the Monument of Light and the Millennium Spire, is a contemporary structure, towering 394 feet over O'Connell Street in Dublin. There’s definitely no shortage of things to keep you entertained during a trip to Dublin, and musical theatre is no exception. The Gaiety Theatre in particular is a must for any showbiz fan. Located just south of the River Liffey at the heart of Dublin, this 2,000-seat Victorian theatre is the oldest in the Irish capital and has been entertaining audiences for nearly 150 years. Situated just a few miles to the south of Dublin city centre, Marlay Park is a vast 300 acre public park filled with serene woodlands, water features and some excellent walking trails. There are also some dedicated recreational spaces in the form of a 9-hole golf course, tennis courts, football and cricket pitches, and even a miniature railway. 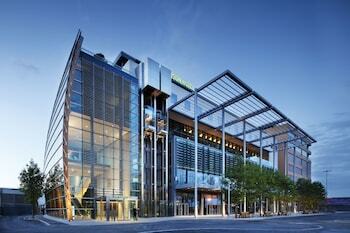 At the heart of the bustling Dublin theatre scene you will find the Bord Gáis Energy Theatre. Officially the largest theatre in Ireland, its opening in 2010 heralded a new era for theatre – not just in Dublin, but across Ireland. For the first time, the Bord Gáis Energy Theatre allowed exceptional quality local and international theatrical productions to come to Ireland. Dublin Zoo is not the only place in the city that you can take a walk on the wild side but it is probably the most popular. A firm favourite with families, the zoo attracts more than a million visitors every year, and they just keep coming. You will be hard pressed to find a building in Ireland that compares to the magnificent Custom House. Opened in 1791, this fine neoclassical building stretches along the northern banks of the River Liffey in central Dublin. Complete with pediments, arches and a 120-feet cupola, the Custom House is a fine example of European neoclassicism. St. Patrick's Cathedral in Dublin was built in the 13th Century to honour St. Patrick, who is, of course, the patron saint of Ireland. It is the main cathedral of the Church of Ireland, the Anglican communion. For a breath of fresh air amid the hustle and bustle of Dublin, a trip to the beautiful Bushy Park is most definitely in order. Nestled on the trickling banks of the River Dodder, Bushy Park hints at what must have once been the area’s wild splendour. Offering a taste of the nearby County Dublin countryside, Bushy Park is all the more special for being situated so centrally. St. Joseph’s Hospital is located in Raheny, a suburban area of Dublin in the Republic of Ireland. Lying on the banks of the Santry River, St. Joseph’s Hospital is close to St. Malachy’s Football Club and Edenmore Park, as well as the larger St. Anne’s Park. It is not far from the picturesque Dublin coastline. 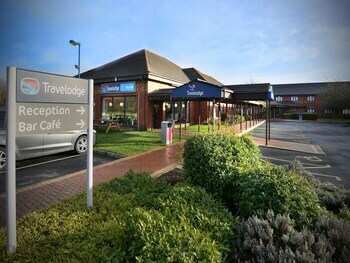 Situated near the airport, this eco-friendly hotel is 1.9 mi (3 km) from Beaumont Hospital and 2.3 mi (3.7 km) from National Show Centre. Croke Park and Malahide Castle are also within 6 miles (10 km). 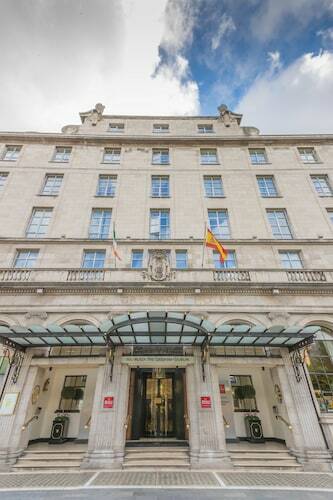 Located in City Centre Dublin, this hotel is within a 10-minute walk of St. Patrick's Cathedral, St. Stephen's Green and Christ Church Cathedral. Dublin Castle and Grafton Street are also within 15 minutes. 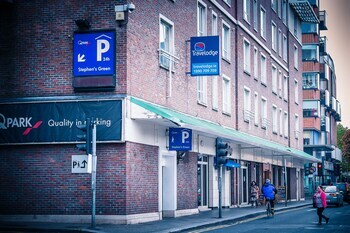 St. Stephen's Green Station is 10 minutes by foot and Harcourt Street Station is 14 minutes. 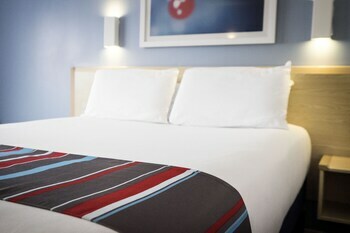 Located in City Centre Dublin, this romantic hotel is steps away from Rotunda Hospital and O'Connell Street. Abbey Street and O'Connell Bridge are also within 10 minutes. Abbey Street Station is 5 minutes by foot and Jervis Station is 9 minutes. 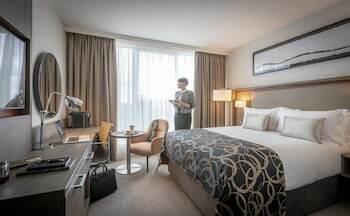 Located in City Centre Dublin, this hotel is within 1 mi (2 km) of Guinness Storehouse, Christ Church Cathedral and Dublin Castle. St. Patrick's Cathedral and Trinity College are also within 2 mi (3 km). Museum Station and Heuston Station are within a 5-minute walk. 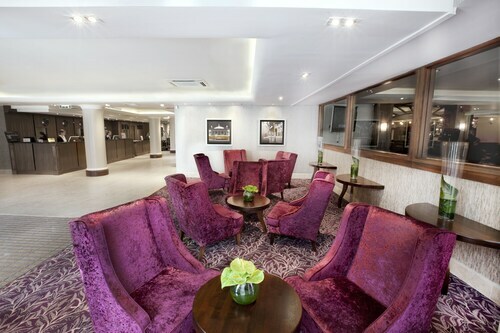 Located in City Centre Dublin, this eco-friendly hotel is steps away from Rotunda Hospital and O'Connell Street. Abbey Street and O'Connell Bridge are also within 10 minutes. Abbey Street Station is 7 minutes by foot and Jervis Station is 8 minutes. 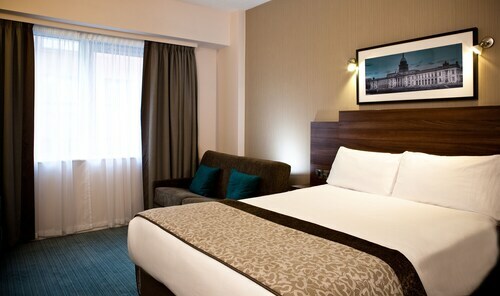 Located in City Centre Dublin, this hotel is steps away from O'Connell Street and Gate Theatre. General Post Office (GPO) and Dublin Writers Museum are also within 10 minutes. Abbey Street Station is 7 minutes by foot and Busaras Station is 10 minutes. 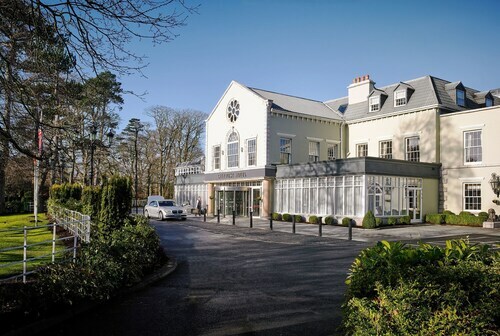 This family-friendly Saggart hotel is located in the suburbs, 1.9 mi (3 km) from Citywest, and within 6 mi (10 km) of The Square Tallaght and Wicklow Mountains National Park. Grange Castle Business Park and National Basketball Arena are also within 6 miles (10 km). Saggart Station is 10 minutes by foot and Fortunestown Station is 21 minutes.